This quilt is loads of fun! You'll begin by making 2 different styles of star points, 4 types of corner units and 3 different centers. Once you've made all the parts, you can Mix 'n Match to see how many different star combinations you can come up with. 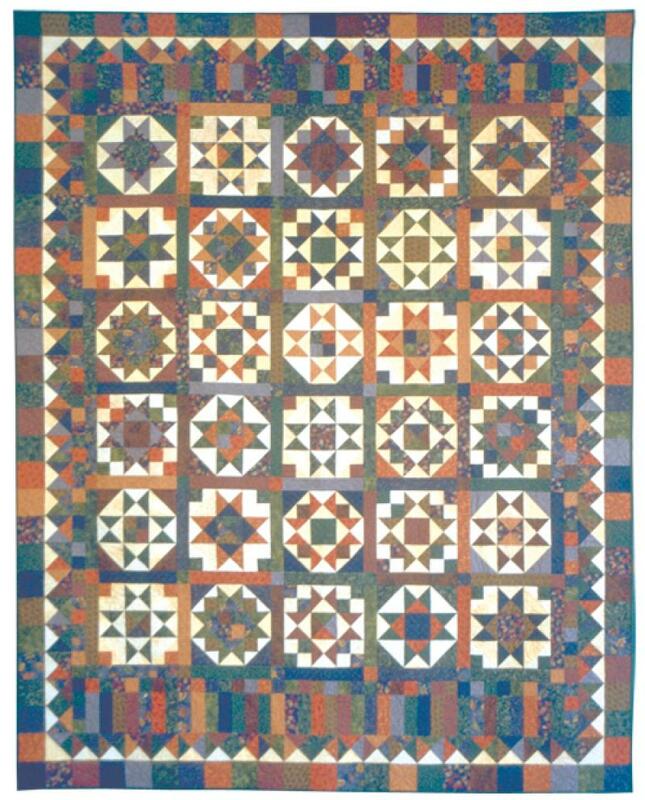 Arrange your blocks with sashing between and finish up by adding a "perfect-fit" pieced border. To complete the project you'll need 15 Dark prints selected from 3 or 4 color families plus 15 Background prints. You'll also want a Easy Angle, Omnigrid 96 or other similar tool. Recommended notions: Easy Angle tool.